Theresa May has challenged Jeremy Corbyn to a TV Brexit debate – but rejected calls to include representatives from other parties. The prime minister said she and the Labour leader headed up parties covering “getting on for 90% of all MPs” in the House. And she insisted other leaders would have the opportunity to raise the issue with her in the chamber. The situation was immediately seized upon by the SNP’s Keith Brown, who said it would be a “democratic outrage for Scotland to be ignored once again”. As she embarked on a UK tour to sell her Brexit deal as “good for the union”, Mrs May said: “I am ready to debate it with Jeremy Corbyn. A Labour spokesman said Mr Corbyn would “relish a head to head” debate about the prime minister’s “botched Brexit deal”. Mr Brown, the SNP’s deputy leader, said his party was the only one with a “comprehensive, alternative Brexit plan”. He added: “Scotland voted overwhelmingly to remain in the EU – but the Tories have done everything to shut our voice out from negotiations. But Mrs May said: “Jeremy Corbyn and I are leaders of parties that cover getting on for 90% of all MPs in the House of Commons. Her deputy David Lidington said earlier that it would be up to broadcasters to decide whether to have a separate debate in Scotland. 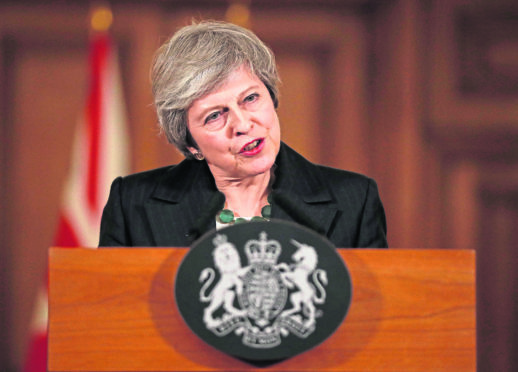 After the European Council rubber-stamped the withdrawal agreement and political declaration over the weekend, it was confirmed the Commons will have its say on December 11 after five days of debate. Meanwhile, Mrs May has gone into campaign mode, hoping to fend off a humiliating defeat by appealing directly to the nation.